Canadian pride will be on display July 1. Canada Day is a time for celebration; a day to show our national pride. To celebrate Canada’s 147th birthday on Tuesday (July 1), the City of Victoria has announced a huge line up of family-friendly events, multicultural programming and fireworks along Victoria’s Inner Harbour. “We are excited to be offering an expanded range of family-friendly activities and multicultural performances this year,” said Charlayne Thornton-Joe, City of Victoria councillor and Canada Day Organizer. The Canada Day Kid’s Zone will return to Belleville Street with many interactive activities. Award-winning children’s entertainer Charlotte Diamond will take centre stage Tuesday afternoon. The ever-popular Living Flag will return to the B.C. legislature lawns and 1,500 red and white T-shirts will be available. 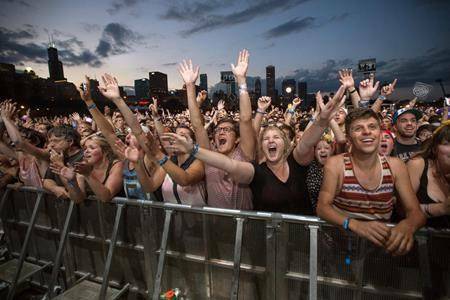 Main stage highlights on July 1 will transform the B.C. legislature lawns into a one-of-a-kind concert. Headlining this year will be Victoria-based, three-piece folk rock and reggae band, Jon and Roy. A strong mix of local and cultural acts will also be showcased on the main stage, including Victoria’s indie newcomers, Towers and Trees, and Kikeyambay, a B.C.-based group that combines musicians and dancers as a modern and dynamic Afro-fusion electric band. Throughout the day, a variety of multicultural performers, including Masala, Compaigni V’ni Dansi’s ‘Louis Riel Métis Dancers’, Cookeilidh and the Sunshine Fitness Club. A Flavour of Canada will return with an international food village and sponsor activity tents on Belleville Street, while Ship Point will play host to expanded family-oriented performances on the Ska Fest Stage. Canada Day entertainment at Ship Point will feature Dope Soda as the headliner, with Brave New Waves, the New Groovement, Leg up Program and Whitey keeping the mood light throughout the day. Victoria Celebrates Canada Day will continue its “green” initiatives, including biodegradable vendors’ food containers, increased recycling on site, and paper mâché fireworks. Also returning will be the bike valet service, offering a safe place to lock up bicycles for those who want to take sustainable transportation to the event.